Our company has gained immense accolades in the field of offering Structure Packing to the clients. This product is manufactured by skilled professionals using high quality raw material and advanced technology in adherence with industry set standards. Offered range is tested on the entire array to seek out any probable flaw with help quality examiners team. Structure Packing can be modified keeping in mind the varied needs of valuable clients. Offered range is widely admired by clients all around the nation. This product is delivered in best packing for safe transit. 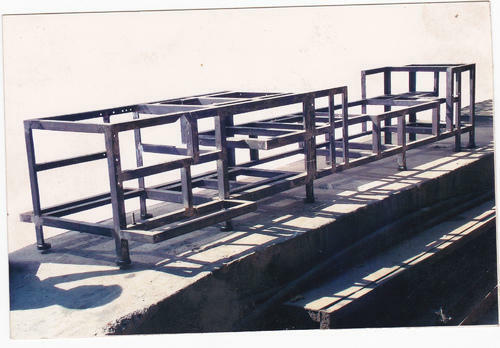 We “Bhagyodaya Steel Industries” are a leading firm that is actively involved in manufacturing and supplying qualitative range of Machined Parts, Press Parts, J Type Anchor Bolts, Perforated Cable Tray, Cable Racks, Transmission Tower, Conveyor System, Pipe Structure, Sheet Metal Part, etc. Founded in the year 1977 at Vadodara (Gujarat, India), we have set up an advanced and robust infrastructural base. The infrastructural base is well armed with all the essential machinery and tools. We have divided this unit into several well functional and capacious sub-units like and procurement, manufacturing, quality testing unit, admin, R&D, packaging, sales, transportation, etc. These departments are looked after by our experienced and hard-working professionals, who hold vast industrial experience in their respective domain. Under the enthusiastic guidance of our CEO, “Mr. Ghanshyam Patel”, we are able to gain the maximum satisfaction of the clients. Furthermore, owing to our punctual delivery, client & quality centric approach, customized facility, positive records, ethical business policies and easy payment options, we have become the first choice of our valued customers across the nation.